Medical imaging is an important tool for the equine veterinarian. Whether it’s the x-ray of a sore foot or an ultrasound of a heart, imaging can be used in many aspects of equine evaluation and care. But equine vets have a challenge that is somewhat unique to them – they often have to mobilize their equipment to meet or treat the patient. To do so, leading equine and large animal veterinarians have begun to use the cloud as their preferred PACS (Picture Archiving and Communication System) environment. With the cloud they are able to store and access their studies no matter where they are scanned or needed for treatment. The cloud enables these vets the freedom to operate outside of the four walls of their home offices, often at a cost that is less than their existing on-premises PACS. Whether the modality itself is mobile or access to the study is required on site with the animal, a medical imaging cloud PACS for equine veterinarians can make a big difference. Many equine vets find the need to share studies with colleagues or with owners. When getting a study quickly and efficiently to a third-party radiologist for a time-critical read the cloud really excels. With the cloud, these large images which are awkward to email and expensive and time consuming to burn to a CD, are available anywhere at any time on any viewing station, including a tablet or even smart phone at the touch of a button. The cloud also enables vets to consolidate the storage of historical images of a horse for the whole duration of their lives. With nothing more than an internet connection (even a good cell phone signal) studies scanned locally can be immediately and accurately sent to the cloud for fast and accurate remote analysis and viewing. Customized and very professional looking reports, with your identity and logo, can be generated and stored, together with your images, in the cloud as well. Often radiological reports need to be shared and the cloud can be the perfect environment, with the click of a button, sending reports to a specific recipient or even groups of recipients to keep them apprised of the horse’s condition. In a multi-vet or multi-location practice the cloud can be just the thing to enable a single consolidated archive for all of your colleagues work. There is no need to search multiple workstations to see where a prior medical image is stored. The cloud enables an unlimited number of professionals to access the PACS simultaneously without degrading its performance. 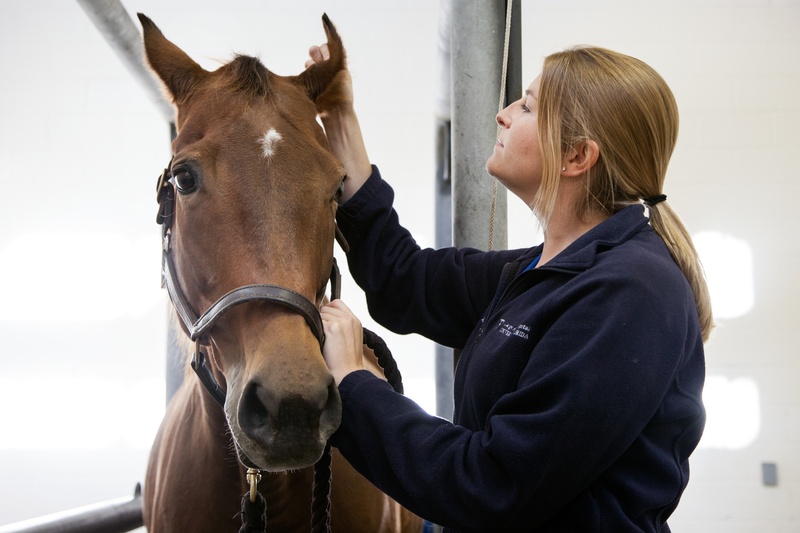 With the cloud, equine veterinarians also gain piece of mind. The cloud enables off-site archive that is much less susceptible to natural or man-made disasters, ensuring the images you've scanned are resiliently available no matter what occurs. In today’s fast paced environment, a medical imaging cloud PACS for equine veterinarians can be just what the doctor ordered!